Everyone experiences some level of stress and/or anxiety, but what happens when it starts affecting other areas of your life and you can’t control it on your own? Do yourself a favour and go see Hayley at Holistic Healing. She is a stress management therapist offering one-on-one, private consultations in a supportive and safe environment. She can teach you skills to manage your stress. She will help you examine your thoughts, feelings and behaviours that contribute to stress and improve your ability to handle stress so that you can let go of what is holding you back and move forward! Hayley has a passion for natural remedies and has studied and practiced a number of different healing modalities over the last 15 years. Her interests, apart from her kids, includes dancing, pilates and cooking. You will always receive one of her home-made treats at the end of a session. 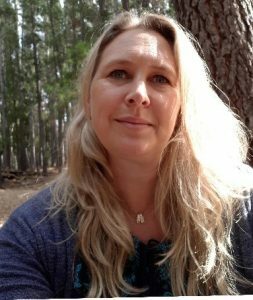 She provides a holistic approach which allows her clients to develop a relationship with their mind and body and a sense of empowerment with its processes. The end result is that there is less dependency on outside help that often serves to provide only temporary relief. Why is Hayley the best option? As a qualified NLP practitioner and Certified Hypnotherapist she provides an opportunity for change and motivation to succeed. The combination of Hypnosis and coaching can be a powerful solution. She also offers various stress reducing massages, lymphatic drainage for fluid retention and reiki healing. Most importantly Hayley comes with a deep understanding of daily life stressors that often becomes magnified obstacles that keep us all from being fully content. Are you stressed? Feeling overstretched and need time out? 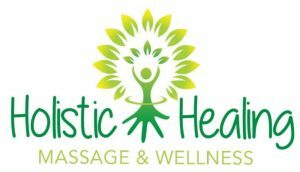 Call Hayley NOW on 0843336331 to book an appointment or email holistichealingcpt@gmail.com. You may think you’re fine… but are you really? Dr James Liddell is an Integrated Healthcare Specialist (B.Pharm; M.Pharm; PhD; SAPC and PSSA registered) specialising in integrating different disciplines of healthcare to ensure holistic healthcare solutions. With 25 years experience as a Pharmacist, Dr of Nutrition and Complementary & Alternative Medicine Healthcare Practitioner, he believes lifestyle is ultimately the key to optimal health; a good nutritional foundation combined with sound emotional health are the fundamentals to what he calls ‘the optimal health zone’.